The ZE329 offers outstanding all-weather responsiveness and exceptional affordability. Packed with high performance features that enhance cornering, braking and acceleration, the ZE329 delivers year-round, all-weather traction, smoothness, responsiveness and stability at an excellent value. The low profile, performance-rated sidewall with rim protector, appeals to many drivers looking for a tire to match their personal choice in transportation. 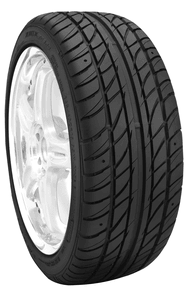 Additionally, the ZE329 features a non-directional tread pattern that allows ease of rotation for improved tire life. The symmetric, non-directional tread design provides optimized stable handling and ride comfort, while allowing multiple rotation patterns to combat irregular treadwear. The deep tread depth increases the longevity of the tire and provides biting edges for better traction and ride comfort. Engineered with industry leading technology for enhanced cornering, braking and handling. Long lateral grooves in the tread design help to reduce hydroplaning in wet weather conditions. Adding to the exceptional value, the Ziex ZE-329 is backed with a 60,000 mileage warranty. Check out our wide selection of wheels to get the ultimate look. 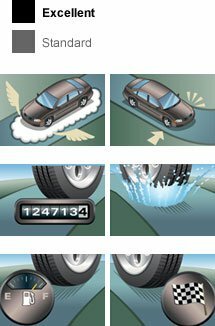 If youre not sure of your tire size, we offer a tire size calculator for your convenience. The Pep Boys say, "If you are looking for an outstanding performance tire at a great price, the Ziex ZE329 is the perfect choice."